Hair porosity is extremely helpful to know when learning how to keep your hair properly moisturized. Knowing this will yield more effective ways to keep your hair moisturized. I know, I know…curl pattern gets all the attention and glory but it should not overshadow the importance of hair porosity and how significant this can be to maintaining healthy hair. You may be wondering what products or ingredients are better for your strands once you find out. No worries, because we are here to suggest hair butters for each hair porosity so that your tresses get exactly what it will need for the colder weather. I have to admit that do not use butters as much as other products, so as I searched for more information I began to wonder why I had not given them a real try. I love natural oils so much that it just makes sense to give them a try. According got Making Cosmetics, natural (vegetable) butters are extracted from numerous plants, roots, seeds, and trees and they contain solid or semi-solid fat oils. This makes them outstanding emollients, softeners, and protecting agents for your body and hair. They are made up of fatty acids, oils, and active ingredients with each one having specialized properties like anti-inflammatory, soothing, antioxidants and even moisturizing. Low porosity hair needs the moisture-rich natural butters that will hold onto the moisture it gets. Because it has a more closed cuticle than the other two porosity types, it is more prone to build up and products often weigh the hair down. Avocado butter is a high-quality emollient and moisturizer with natural sunscreen and antioxidant properties. 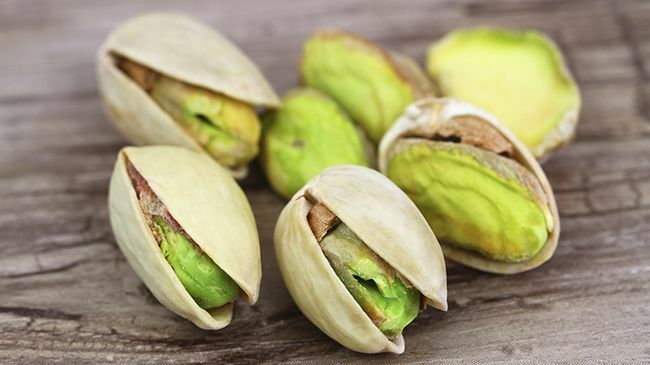 Pistachio butter is not as popular as the other two, but it is rich in fatty acids that moisturize and has great penetrating qualities that will be an asset to hair with low porosity. It is great for your skin too and will not clog your pores. Cupuacu butter is very similar to cocoa butter, but cupuacu has a softer and creamier consistency. It contains fatty acids and phytosterols and is very moisturizing to your skin and hair. It is also great for its UV-A and UV-B protection. The middle of the road porosity hair type is the easiest to manage since it retains just the right amount of moisture and can hold onto it. That does not mean it cannot benefit from natural butters and it does need to be taken care of. Cocoa butter is a high quality emollient and conditioner that adds nourishment and shine to your tresses without weighing it down. Shea butter is a potent moisturizer and emollient with its unsaponifiable lipids that will be great for adding moisture to your strands. This hair type has either been damaged mechanically, chemically, by weather elements, or can even be genetic. Too much moisture is absorbed and released quickly, so a natural butter used on this type needs to do double duty by attracting and sustaining moisture. Palm butter has antioxidant properties but what is even better is it has nourishing and cell regenerating properties while gently moisturizing. Livestrong says it has a refattening agent that helps restore hair’s natural oils that may be stripped during shampooing. Coffee bean butter helps to promote moisture retention and has antioxidants and anti-inflammatory properties. It is great for conditioning your skin and hair. Hemp seed butter is a powerhouse. It is rich in fatty acids, a natural sunblock, and helps reduce the moisture loss that this hair porosity type suffers from. It has an excellent source of amino fatty acids, and if your hair is lacking Omega-3 fatty acid then hemp seed butter will help to replenish it and make your hair stronger and healthier. What's your porosity, and which butters work best for you?